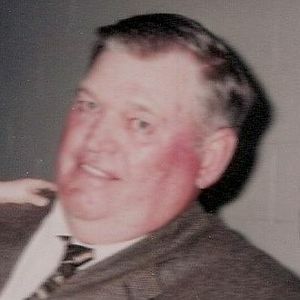 BEECHMONT - Dennis "J.R." Baker, Jr., 74, of Beechmont, died Wednesday, July 27, 2011 at 11:05AM at Muhlenberg Community Hospital. Mr. Baker was born May 3, 1937 in Muhlenberg County. He was retired from Peabody Coal Co. and was of the Baptist faith. He was a very active member of his community. He loved spending time with his horses, feeding his fish, and loving his grandchildren and great-grandchildren. He was preceded in death by a brother, Grover Baker; and his parents, Dennis and Chole Dean Baker. Survivors include his wife Mary Cottrell Baker; children Donald (Rebecca) Baker, Susan (Jamie) Toomey, and Debby (Steve) Ingram; grandchildren Chris (Jennifer) Steele, Brandon (Tina) Baker, Suzanne Steele Williams, and Jessica (Tim) Cotton; great-grandchildren Nataya Williams, Brady Steele, Nick Cotton, Blaine George, Jacob Baker, Katherine Baker, Brianna Baker, and Allison George; siblings Dean Arnold, Sybil Ottman, Billie Gardner, Betty Lee, and Karen White; and mother-in-law Viola Cottrell. Funeral services will be Saturday, July 30, 2011 at 10:00AM at Tucker Funeral Home in Central City, with Rev. Jerry Eades officiating. Burial in Union Ridge Cemetery. Visitation will be Friday from 5-8PM at the funeral home. Expressions of sympathy may take the form of donations to the Gideons. Online condolences may be made at www.tuckerfuneralhomes.com. Create An Online Memorial For Dennis "J.R." Baker, Jr.
J. R. and I were child hood friends and loved riding horses, swimming etc. We dated some together and I enjoyed time I spent and his in laws. I wil miss J.R. and seeing him at the Buggy Shed. But I'll always remember him and Mary! My prayers and thoughts are with you now and in the coming months. Sometimes it is a blessing in the end. We have to know God watches over us and has his own gameplan for us. We are so sorry to hear about JR .He will be Greatly Missed.Mary You And Your Family are in Our Thoughts and Prayers . Looking back many many years ago, I can remember the fun times we all had. We are very sorry for the loss of J.R. Mary, Debbie, Susan and Donnie, spouses, grandchildren, great grandchildren and all the Baker family, I am praying that God be a comfort to you in the days to follow. As i sit here tinking what to write , there is so much I dont know where to start. The the main thing about uncle JR is he loved life . He loved his family so much. For the last 2 years we eat breakfast together on Sunday's and we got really close, and I am gonna miss him. One time paw Baker was trying out a new tractor that was alot bigger than what paw had. They also was trying the plows that went with the tractor. If you knew JR he only knew one way and that was wide open. He was plowing in the bottoms wide open and throwing dirt 3 foot up in the air. Of course mamaw was having a fit becaue he was going so fast and I will never forget what he said. "Mama why do you think they put them fast gears on the dam tractor" mamaw just shook her head and went back to the truck. anyway I loved Uncle JR and will miss him!!!!!! Pappaw JR was always smiling, and enjoying his kids, grandkids, and great grandkids, he was a great man and a friend to many, he will greatly be missed by everyone on the hillside. It is with fond memories of J R and Mary that we send our sincere sympathy to each who loved him so dearly. My deepest sympathy to the entire family. You are in my thoughts and prayers.